Has your MacBook Pro been in an accident? Apple’s MacBook, MacBook Air and MacBook Pro laptops are sensitive machines even with aircraft-grade aluminium / unibody casing! The internal electronic components aren’t as tough; like the LED or Retina display, the hard drive, keyboard, trackpad and especially the logic board or processors. If your Apple Laptop has been dropped, knocked, squashed or in the unlikely event that liquid of any type (water, juice, coffee, tea, wine, beer or any drink) has been spilled you need immediate help and advice from London’s leading experts in Mac accident repair. North London Mac Support also known as NLMS can provide the help you need 24 hours a day and 7 days a week. Your local Apple store won’t be able to help, but we will ! 1) Shutdown your MacBook, MacBook Air or MacBook Pro , disconnecting the power adaptor and ALL connected devices like keyboard, mouse, external hard drive, iphone – also if you are able, remove the battery immediately. Do NOT attempt to restart! 2) Do NOT attempt to restart even if you suspect it’s ok to do so – you are most likely to inflict further damage to your Mac! 3) Place your Apple laptop and its battery in a warm but not damp environment such as an airing cupboard and be prepared to leave it there for a minimum of 72 hours (3 days). Do NOT attempt to restart! 4) Contact North London Mac Support immediately! We can advise what next steps to take even if you only require urgent access to your files and documents while you decide whether to proceed with a speedy repair by our team of Mac experts. 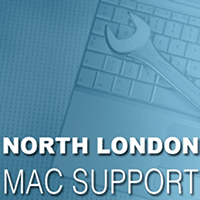 Want to find our location or see reviews on the service North London Mac Support provides? Our liquid spill repair service covers the whole of the North London area including, Highgate, Muswell Hill, Hampstead, Belsize Park, Turnpike Lane, Stamford Hill, Stoke Newington, Islington, Highbury, Dalston, Enfield, Barnet, Southgate, Winchmore Hill, Finchley, Holloway and Camden.